More than 75 essays—many freshly composed by Mumia with the cartridge of a ball-point pen, the only implement he is allowed in his death-row cell—embody the calm and powerful words of humanity spoken by a man on Death Row. Abu-Jamal writes on many different topics, including the ironies that abound within the U.S. prison system and the consequences of those ironies, and his own case. Mumia's composure, humor, and connection to the living world around him represents an irrefutable victory over the "corrections" system that has for two decades sought to isolate and silence him. 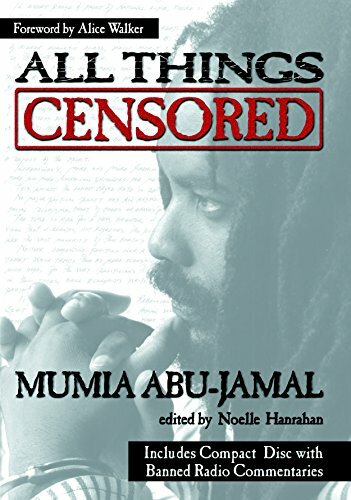 The title, All Things Censored, refers to Mumia's hiring as an on-air columnist by National Public Radio's "All Things Considered," and subsequent banning from that venue under pressure from law and order groups. If you have any questions about this product by Brand: Seven Stories Press, contact us by completing and submitting the form below. If you are looking for a specif part number, please include it with your message.